If you're looking for home gym equipment, you might want to start with an elliptical trainer. These low-impact machines can give you a great workout that won't put stress on your knees and ankles like running can. They can help you lose weight and improve your cardiovascular health, and because of their low-impact nature, you can use them every day. Elliptical trainers come in many different models. There are barebones machines available for $$$or less, while premium machines can go for over $$$$. If you want a feature-rich, high-quality machine that won't break the bank, though, the Nautilus E614 Elliptical is a good place to start your research. What Is The Nautilus E614 Elliptical? The Nautilus E614 Elliptical is an exercise machine that features most of the technological perks of a modern elliptical at a reasonable price. It offers 22 workout programs and a whopping 20 levels of resistance, making it easy to tailor your workout to your abilities and preferences. Its two LCD screens let you track your workout progress, and if you want to put a book or tablet on the shelf beneath the upper screen, you can still track your essential information like time and calories burned on the lower screen. The Nautilus E614 Elliptical also has a USB port that enables users to download workout data to a device or a workout tracking website like Myfitnesspal.com. This is great for workout warriors who want to track their improvement over time. The only major feature it's lacking compared to its closest competition is Bluetooth connectivity, which is why you have to plug your device into it via USB to download your data. 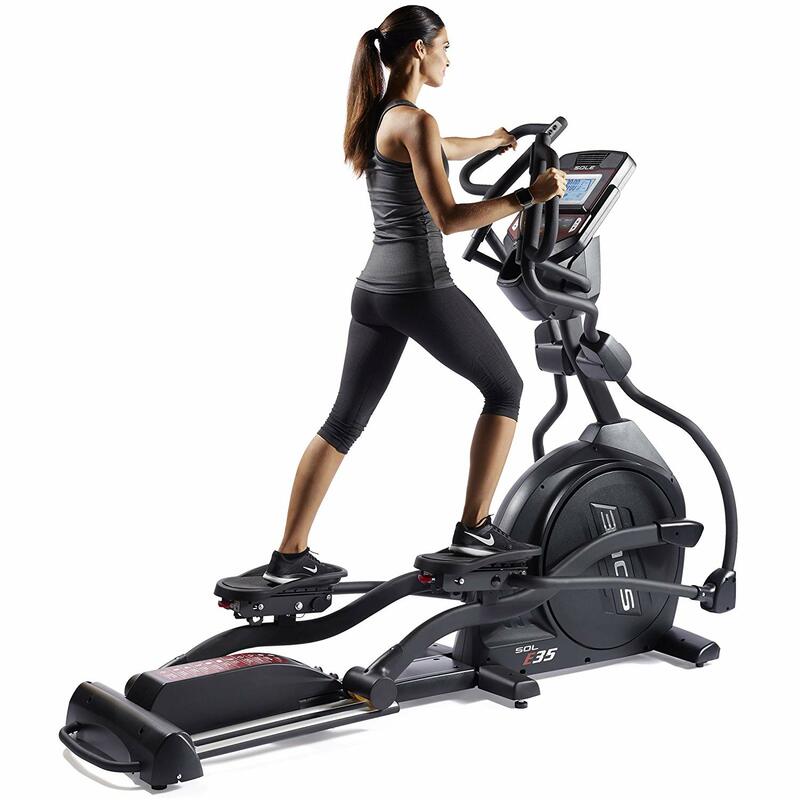 The Nautilus E614 Elliptical boasts a long 20-in. stride length, making it comfortable for most users. It can track whichever goal you set for your workout, be it a time limit, distance, or number of calories burned, and it can also track your heart rate with monitors built into the hand grips. It contains a high-speed, high-inertia drive system that ensures a smooth, consistent motion throughout your workout. 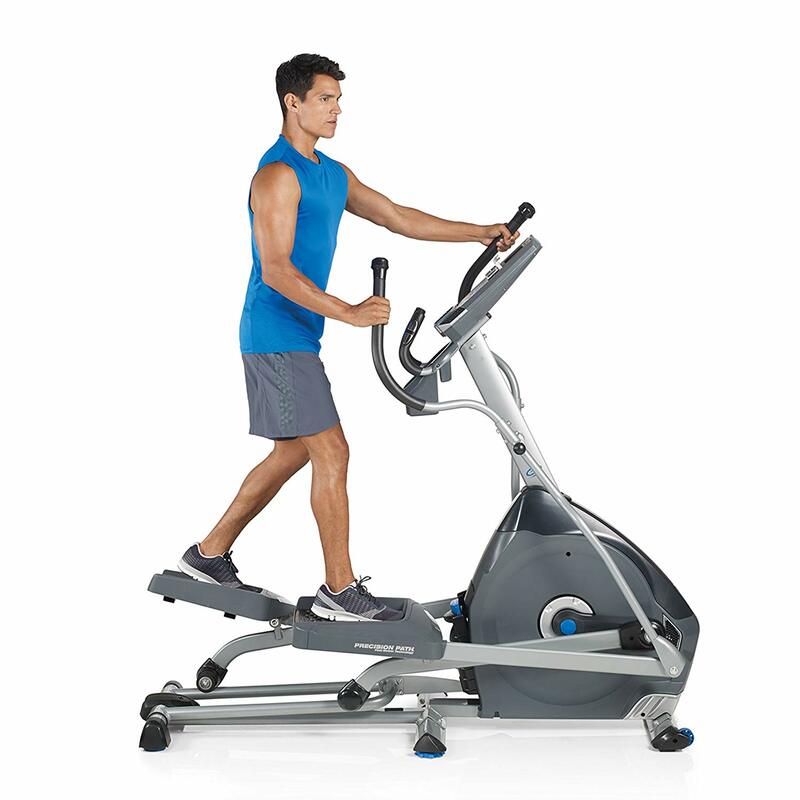 The Nautilus E614 Elliptical has a maximum weight capacity of 300 pounds and weighs around 167 pounds itself, with dimensions of 71.5 in. x 26.7 in. x 63.2 in. 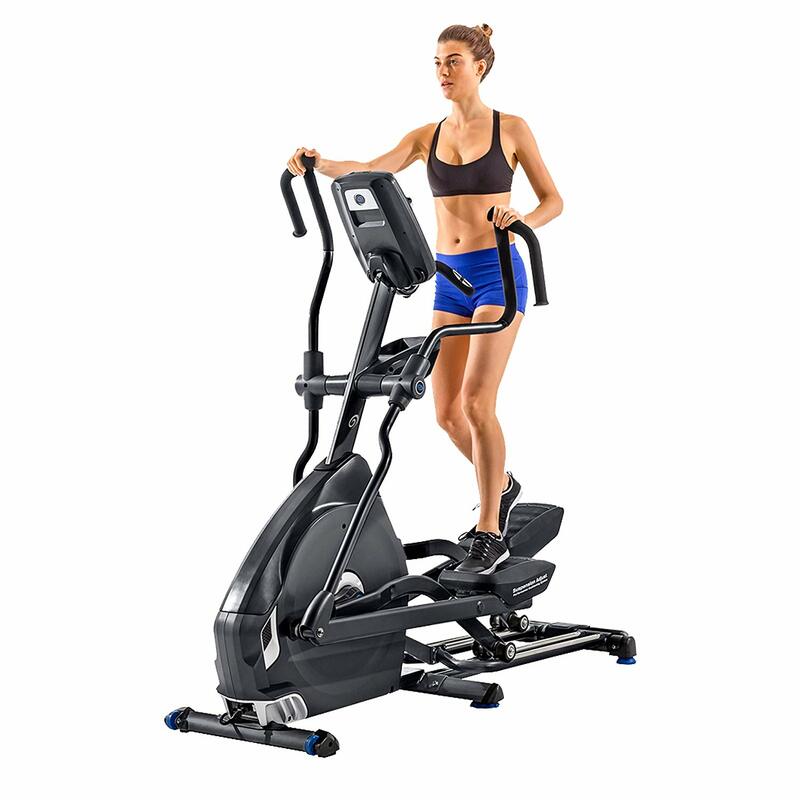 The Nautilus E614 Elliptical is available on Amazon for around $$$ with free expert assembly also available. As mentioned above, the Nautilus E614 Elliptical is available on Amazon for around $$$. The Nautilus E614 Elliptical is easy to get the hang of once you master navigating its LCD menus, which shouldn't take long. Its 20-in. stride length will be comfortable for most. The only downside is the inconvenience of having to use a USB connection to download your workout data to your device. If you order from Amazon, you can take advantage of their complimentary professional assembly and save yourself the headache. They can put it together for you in your home in about four hours and will even remove the packaging materials from your home for you. 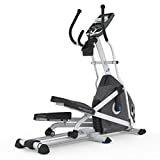 Four hours is a long time, though, and if you can't take advantage of Amazon's offer for any reason, it will most likely take you even longer to but the Nautilus E614 Elliptical together. 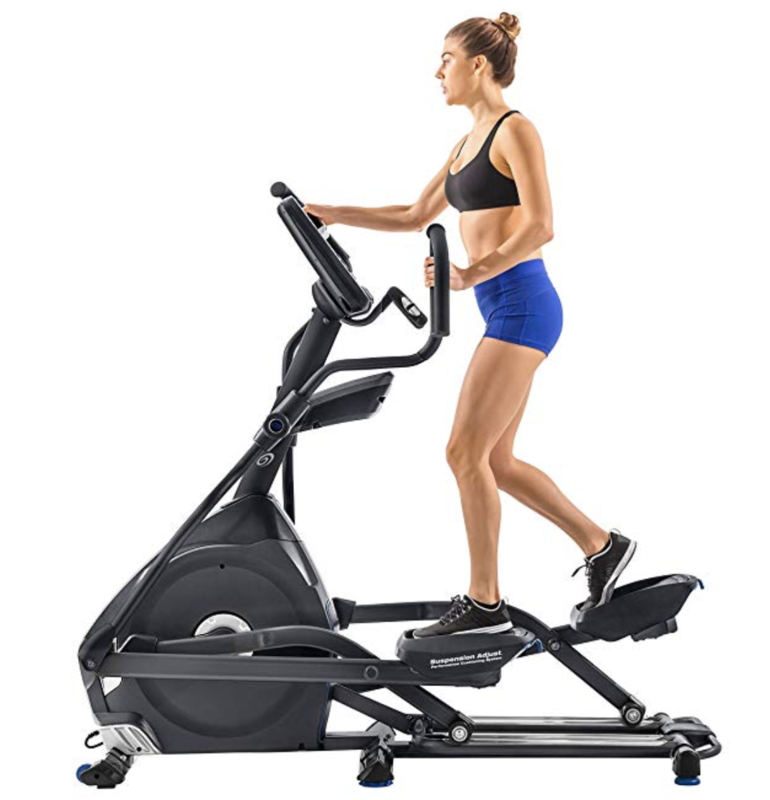 The Nautilus E614 Elliptical is well-constructed and sturdy, with a smooth workout motion that's remarkably quiet given the size of its flywheel. Its dual LCD screens ensure that you can always see the information you need to see, even if you want to put a book on the shelf below the larger screen. The only knock against the machine on this front is its 300-lb. weight limit. Nautilus provides a 10-year frame warranty and a two-year parts and electronics warranty, with labor covered for one year. The company also sells extended parts and labor warranties for an additional charge. The Sole Fitness E35 is a top-of-the-line elliptical that's packed with all of the features you would expect from a premium machine. While it costs more than twice as much as the Nautilus E614 Elliptical, it boasts specs that will make the price worth it to fitness enthusiasts. Its stride length of 20 in. can be extended up to 22 in., allowing users to find the length that best imitates that of their natural running stride. Its pedals are designed to keep your heels down to avoid overworking certain muscle groups. It can monitor your heart rate through its handlebar grips or with an included chest strap if you'd rather go hands-free or grip the stationary handles. As far as the display goes, it's a large, attractive LCD display with Bluetooth-enabled speakers that let you listen to music or podcasts while you work out. The Sole Fitness E35 sells for around $$$$ on Amazon, with expert assembly available for an additional $79 or so. The adjustable stride length and natural motion of this machine make it a dream to use. It boasts two ways to monitor your heart rate, as well. Anyone who has used an elliptical before will feel right at home with Sole's top-of-the-line machine. Expert assembly takes around four hours, so you can expect DIY assembly to take even longer. The Sole Fitness E35 lives up to its price tag with sturdy construction and incredibly smooth, quiet, and natural motion. Its Bluetooth connectivity lets you listen to whatever media you prefer, no headphones needed, and it even has a built-in fan to keep you cool while you sweat it out. The cherry on top is its adjustable stride length, which makes it a comfortable machine for most users. The only drawback to this machine is its weight: 230 lbs. Unless you plan on moving it around a lot, though, that won't be too big of a concern, and its 375-lb. weight limit is a fair tradeoff. Sole's manufacturer's warranty is excellent, with a lifetime warranty on the frame, five years on parts and electronics, and two years on labor all included with purchase. 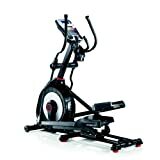 The Schwinn 470 Elliptical is a mid-level machine comparable in price and features to the Nautilus E614 Elliptical. It boasts several ways to import and export data to and from your fitness devices to keep track of your progress, even if you're not using it. With 29 workout programs, 25 resistance settings, and four user settings, just about any user should be able to design a workout that gives them the challenge they need. Like the Nautilus E614, it features two LCD screens to track your workouts, as well as a solid 20-in. stride length. It also boasts a headphone jack that allows you to listen to music through the machine. The Schwinn 470 is sold on Amazon for around $$$. Once you put it together, the Schwinn 470 is as easy to use as most other ellipticals. Its 20-in. stride length will be enough for most users, and anyone can create a workout that's right for them thanks to its wealth of programs and settings. The dual LCD screens also allow users to read or watch media without blocking their view of important data about their workout. The biggest knock against the Schwinn 470 is that it's difficult to assemble. If you don't have experience assembling complicated furniture and appliances, then you will be better off shelling out for expert assembly. As with the Nautilus E614 Elliptical, the Schwinn 470 is sturdily constructed and provides a smooth, comfortable workout. Its 300-lb. weight limit is the only drawback in the design quality department. Schwinn's warranty includes 10 years of coverage on the frame, two years for mechanical parts, one year for electrical, and 90 days for labor. For a machine with a slightly higher price point than the Nautilus E614 Elliptical, it's an underwhelming offering. The Nautilus E618 Home Elliptical is a higher-end machine than the Nautilus E614 Elliptical, and it comes with a slightly higher cost. Like the latter, it features dual LCD screens, but the E618's display can be adjusted for the best viewing angle for both the screens and any media you want to view on devices resting on the included shelf. It also features 29 training programs and 10 levels of motorized incline, so it should be easy to get the workout you want. Unlike the E614, it features Bluetooth connectivity for downloading workout data to your devices, and it can even sync with the RunSocial app so that you can run with people all over the world. 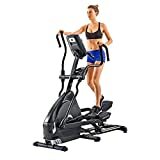 The Nautilus E618 is available on Amazon for around $$$$, situating it between the premium Sole Fitness E35 and the mid-level Nautilus E614 Elliptical. The Nautilus E618 is just as easy to use as the E614, with the added bonus of Bluetooth connectivity so that you don't have to connect a USB cable to the machine to upload and download workout data. As with the E614, Amazon is offering free expert assembly that takes around four hours. If you forgo this offer, expect assembly to take longer than that. This is a high-quality machine with great construction. Its weight limit of 350 lbs. is higher than the less expensive E614's, and it features a number of customizable features that make it even more comfortable to use. You can adjust the angle of the dual LCD displays, control the incline and resistance of the handlebars separately from the pedals, and more. Nautilus' warranty on the E618 is superior to the one they offer for the E614: 15 years for the frame, five years for mechanical parts and electronics, and two years for labor. All of these options are high-quality exercise machines, and the right one for you will depend on what you're in the market for. If you plan to use your new elliptical machine every day and want a premium experience that will last you for years, then you might want to invest in the Sole Fitness E35. If, however, you want a high-quality machine that will give you a great workout without draining your bank account, the Nautilus E614 Elliptical might be the machine for you. It's easy to use but packed with features and affordable, yet sturdy and high-quality. The biggest drawbacks to the Nautilus E614 are its lack of technological bells and whistles. For example, it's a bit of an annoyance to have to connect a device via USB to download your workout data. However, many users would never take advantage of this feature at all, even if it could be done over Bluetooth. The Schwinn 470 is comparable, but at about $100 more expensive and with a less than satisfactory warranty, Nautilus' product seems like the better deal. You'll miss out on the headphone jack, but headphones with cords are slowly going extinct, so that's not much of a concern. For most, the Nautilus E614 is the elliptical machine with everything that they'll ever need.